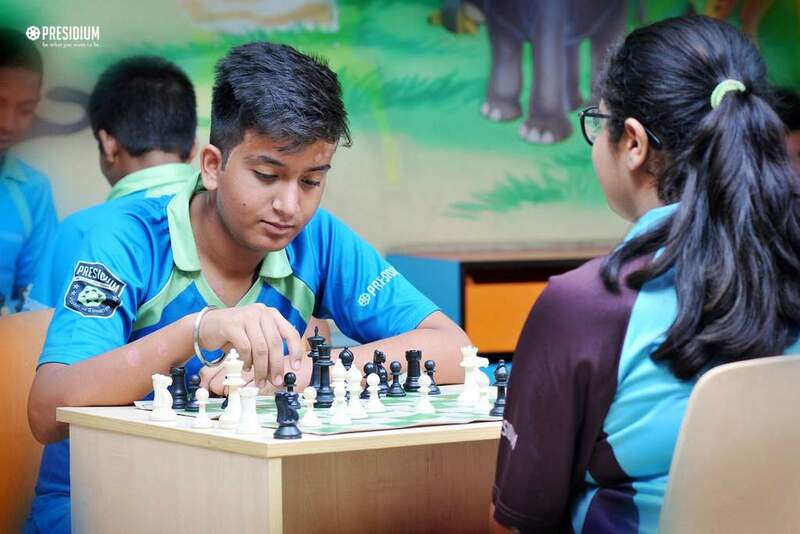 Move in silence; only speak when it's time to say checkmate! 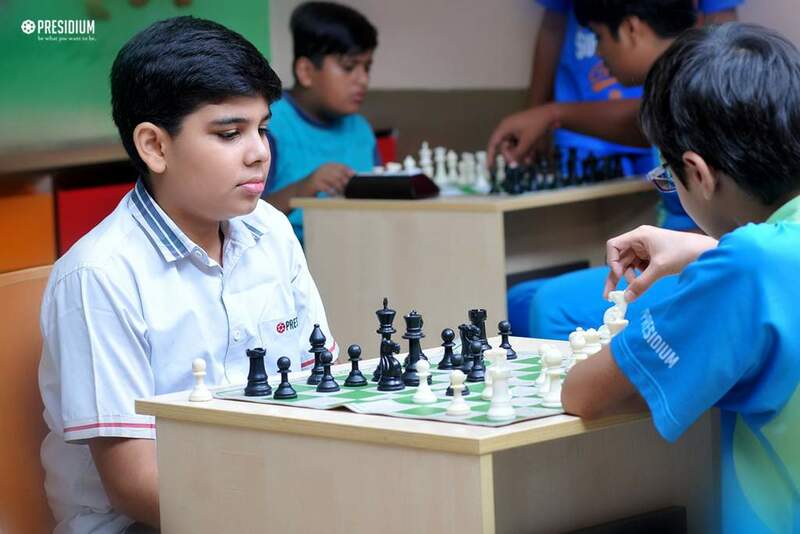 Packed with boundless fondness for the brainy game of Chess, 52 of our young students from grades III to V proactively participated in the inter-club 'Chess Competition' at Presidium, Faridabad. 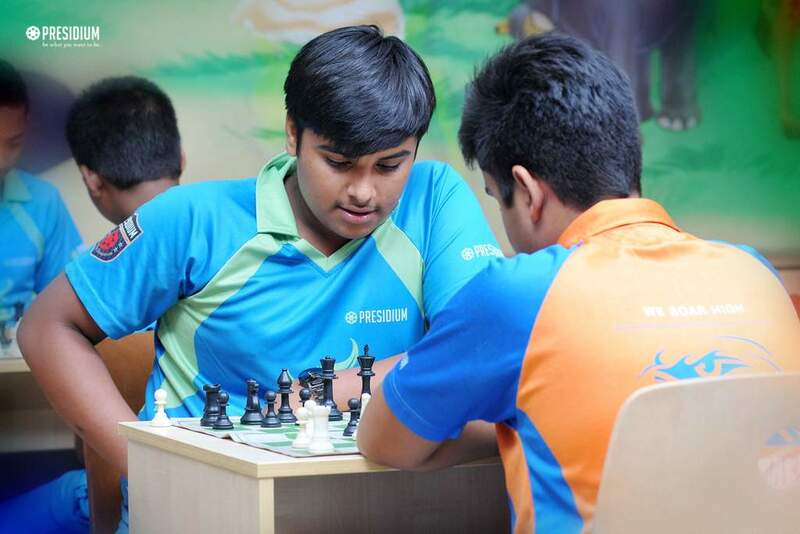 This interesting competition featured three rounds, wherein the Presidians took part enthusiastically and displayed their fine skills of visualization, calculation and evaluation. 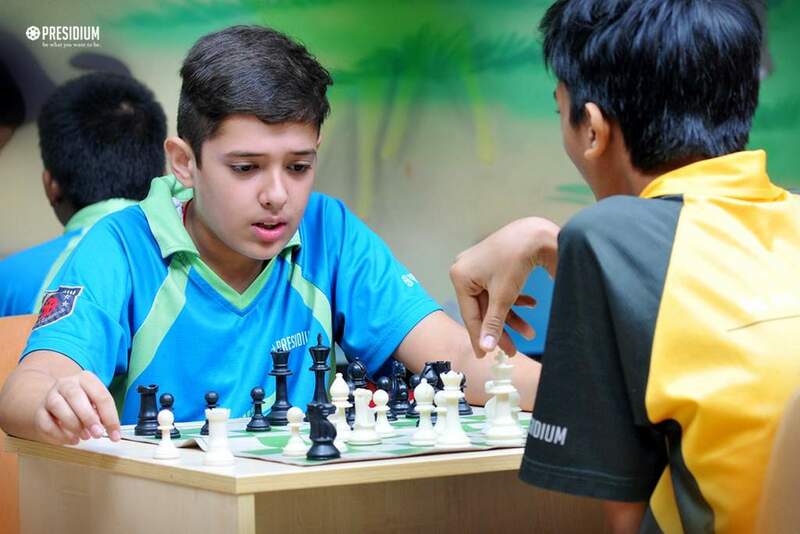 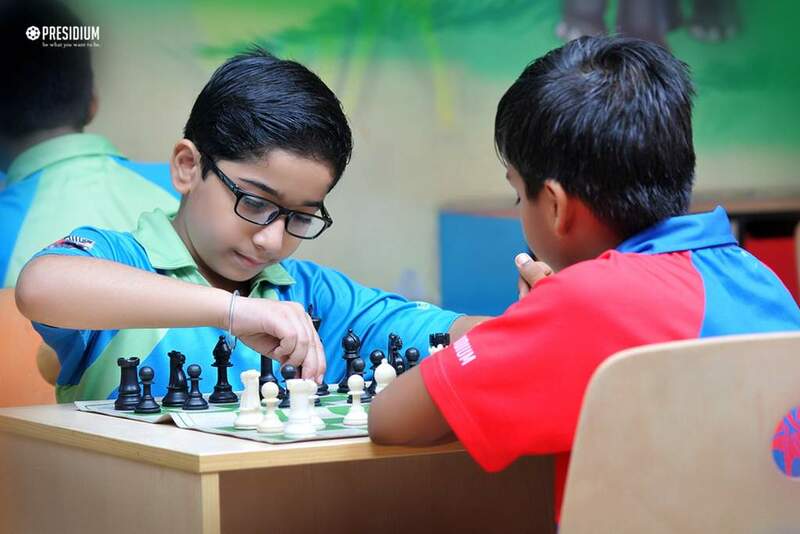 Various arrangements like Swiss System and Fide Rules were applied under the supervision of the Chess coach. 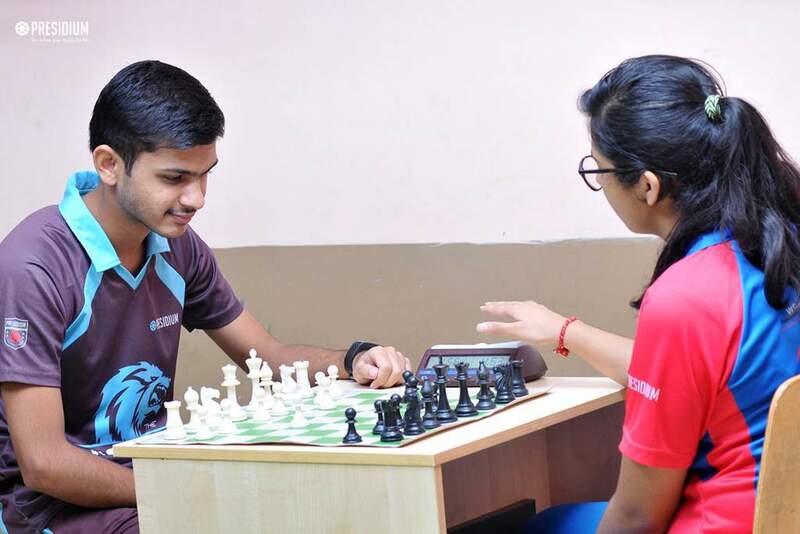 The way these talented contestants played from the opponent's point of view to freeze their moves and assessed the risk before putting the player down on the Chess board were very captivating. 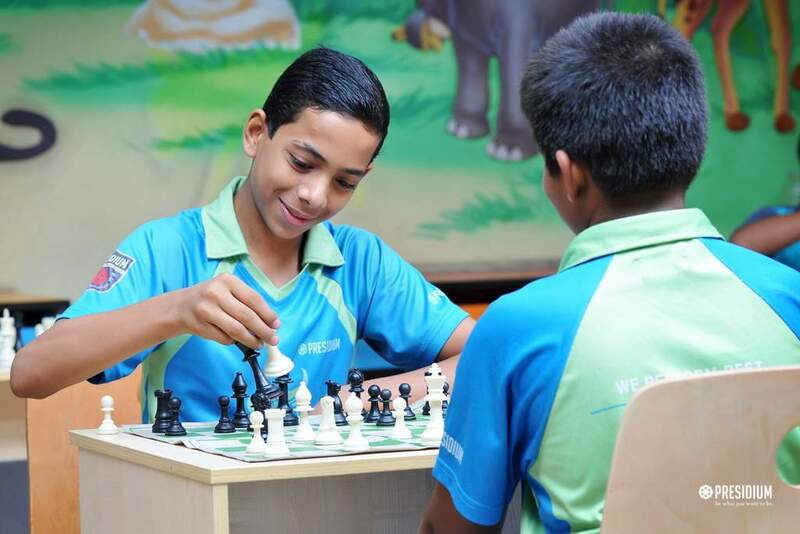 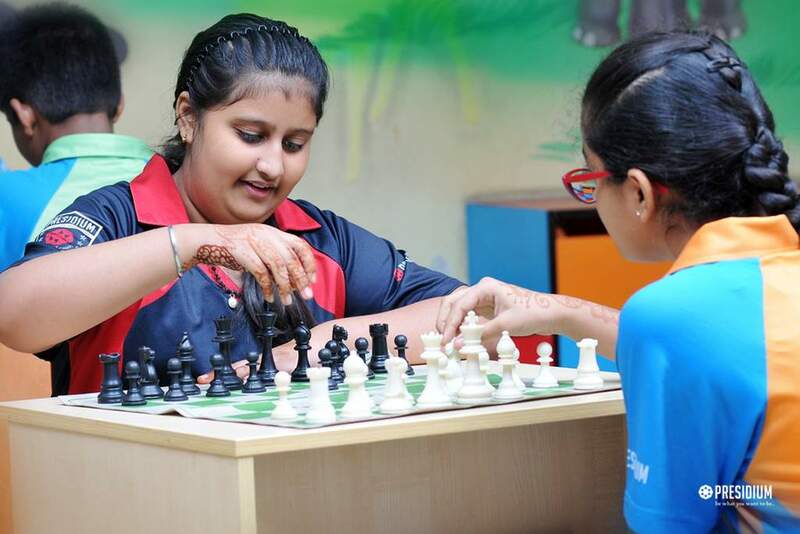 A highly motivational and beneficial experience for the students, the Chess competition also helped in developing logical reasoning in them.